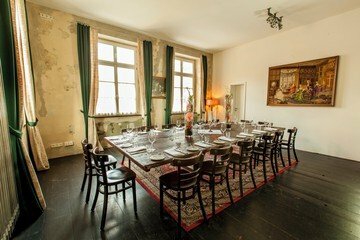 Nous sommes désolés, mais l'espace Suite for private events inside stylish 19th century building close to Alexanderplatz n'est plus disponible. 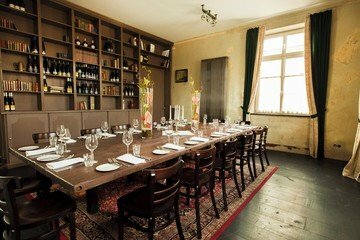 Hire this private space for an intimate dining experience. The 19th century building is filled with character reflected in the old authentic wooden furniture. Located close to Alexanderplatz this room is perfect for a candle-lit meal accompanied by a special selection of wines.